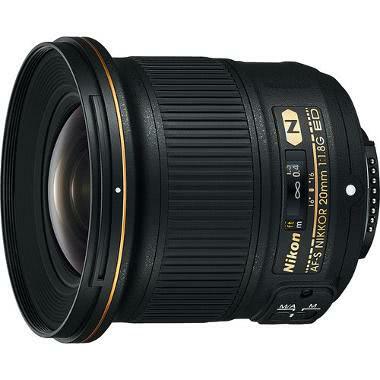 The Nikon 20mm f/1.8G ED AF-S Lens is part of Nikon's esteemed lineup of fixed focal length, G-series, f/1.8 lenses, which includes the Nikon 85mm f/1.8G, Nikon 50mm f/1.8G, Nikon 24mm f/1.8G, and Nikon 28mm f/1.8G. The large maximum aperture is suitable for low-light conditions and the Silent Wave Motor provides a quick and quiet AF that is good for event still shooters and videographers alike. The Nikon 20mm f/1.8G can be paired with both full frame sensor cameras, such as the Nikon D810, and with crop frame sensor cameras, such as the Nikon D7200. The focal length equivalent on crop frame sensors is 30mm. This lens is ideal for larger group portraits, landscapes, interiors, lifestyle, and candid photography and is especially well suited for events and environmental shooting. • This lens will mount on Nikon F mount crop sensor cameras in both full frame and crop frame sensors. The focal length equivalent on crop frame sensors is 30mm.